According to an article in the Berkshire Eagle, the Supreme Judicial Court is scheduled to hear argument in a Berkshire OUI case – Commonwealth v. Neary French – that may impact the way drunk driving cases are prosecuted across the entire state. The facts of the case are as follows: the defendant was seen making multiple attempts to pull out of a parking space in downtown Lenox at approximately 1:15pm on November 28, 2012. According to the article, the police stated that “the vehicle was unable to navigate its way out of the parking spot,” and “collided with another vehicle slightly, several times,” despite the fact that “there was no real reason that vehicle couldn’t exit its parking spot.” The police removed the defendant from the car, made observations of her, and had her perform field sobriety tests. According to the police, the defendant “displayed all the signs of an intoxicated operator.” The police then arrested the defendant on an OUI charge, first offense under G. L. c. 90, § 24. At the police station, the defendant agreed to take a breath test, the result of which exceeded the legal 0.08 blood alcohol limit. During the course of the court case, the defendant’s attorney moved to suppress the breath test result. The attorney argued that the defendant should have had the option to contact an attorney before taking the test. In her argument, the defendant’s attorney specifically cited to a defendant’s right to legal counsel under the Massachusetts Declaration of Rights, as well as the 6th and 14th amendments of the U.S. Constitution guaranteeing due process. The attorney argued that a 2003 amendment to the OUI statute indicates that a breath test of .08 or greater is direct evidence proving legal intoxication, and therefore constitutes “a critical stage in the criminal process” (prior to this amendment, breathalyzer results were considered to be just one piece of evidence in determining the outcome of an OUI case). The attorney went on to argue that because the breath test constitutes a critical state of the criminal process, a motorist should have the opportunity to consult with an attorney within a reasonable period of time before taking a breath test. The attorney ultimately asked the court to find that the defendant was denied her right to legal counsel at the “critical stage” of the court case, in violation of the U.S. Constitution and the state’s Declaration of Rights. The Commonwealth, on the other hand, expressed concern about the application of such a rule. Specifically, the prosecution has stated that such tests must be given promptly to produce an accurate result, therefore delays waiting for an attorney to respond would potentially yield a blood alcohol result below the legal limit. Once the issue was raised, the judge reported the question to the state Appeals Court. The case was then transferred to the SJC for further review. The SJC is scheduled to hear arguments on May 5th. The results of a breath test is in fact a critical piece of evidence in any OUI case. 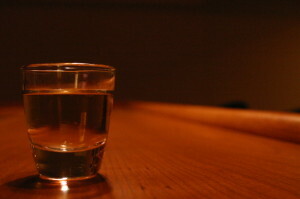 The presence of evidence indicating a blood alcohol over the legal limit may well induce a defendant to plead guilty to an OUI offense, even if the rest of the evidence against him or her is relatively weak. As such, if the Court agrees with the defense attorney’s argument, it could have far reaching implications on the way in which OUI cases are defended and prosecuted in the state of Massachusetts. A conviction, or even a continuance without a finding, in an OUI case has serious and significant consequences for any defendant. Anyone facing charges is in need of a skilled and experienced attorney who is up to date on OUI law, ready, willing, and able to challenge the Commonwealth’s evidence, and not afraid to come up with creative arguments, such as the one above, in order to do so. Attorney Daniel Cappetta has successfully represented countless clients in OUI cases. He is closely following this case, and will use it to his clients’ advantage in every way possible. If you or a loved one is facing OUI charges, call him for a free consultation today.